The flexibility of ‘flexible learning environments’ is a big part of my ongoing PhD research and I find it a thorny, intriguing ‘thing’. Flexibility is problematic in lots of ways and one of them, I think, is time – specifically the timescales over which we mean flexibility to apply. (1) What type of flexibility is being discussed. Flexible as in I can switch things around now? Flexible as in I can adapt my space for next week’s project on aerodynamics/WWII or whatever? Flexible as in the space can be made larger, added on to, walls can move? (2) Who or what is responsible for making flexibility happen. Is it just the designed space? The space + teacher? Site staff who are going to move the partitions/tables? An engineer/architect to build a new wall? An excellent insight into these issues comes from the schools’ architect David Medd (1970) – yes, an old paper, but I think that’s partly the point. It’s perhaps a story for another day but briefly it seems to me that flexibility has become an end in itself, no longer a means for helping teachers to achieve their purpose, it is now oriented to space per se. You could argue, flexibility for flexible learning but that defers the issue of purpose and the problems are anyway explained better elsewhere – see the interview with Gert Biesta on purpose and learnification. There’s a lot of similarities here with Herman Hertzberger’s thinking on space and if you’re interested in that, Emma’s interview with him is superb. I’ll be writing about Hertzberger’s ‘articulation’ and his re-working of flexibility as ‘polyvalence’ soon. My point, though, is that Medd’s thinking about tactical means is powerful – it gets beyond the passive, assumed provision of flexibility i.e. it being simply a property of a space and moves attention to its use and purpose and what and who that involves. I do think it needs fleshing out in terms of teachers’ work and time and below is a first attempt to do that. But, it’s not just the timescale that changes in CABE’s advice: these are very different types of flexibility with different ‘perpetrators’ and they require very different resources. ‘Flexible design’ is being asked to do an awful lot by covering all of these different uses, actors and resources. From a design perspective, having two time-based categories of flexibility (short- and long-term) might be enough. It seems simple enough: short-term changes are the domain of the user (facilitated by the design); long-term ones the domain of designers and engineers (actioned by builders). But a focus on what happens in schools would benefit from more subtle disaggregation of these categories. Of interest to the teacher might be ‘What can I do now in this lesson since Jo isn’t working well with Sam today?’ or ‘Do I have enough time to take lunch and move the tables for debate set-up in the lesson after lunch?’ For the teacher these are different types of flexibility that matter. However, they are often below the threshold of visibility for the designer’s language/concepts/way of seeing. The logic of time categories should reflect the perspective of people using them. This would steer things towards the resources that changes require. It would also help to identify the significance of any changes so not just who else might be needed in order for the changes to be made but whether the changes are likely to be temporary or permanent. It’s worth asking is this change just for Period 4 with Year 9 or a change for all of next term’s lessons? The appropriateness of these distinctions will vary from teacher to teacher and probably school to school etc. I intend them as heuristics – so ways of recognising that flexibility is a rather complex thing, means different things, may involve different kinds of time and financial resources and certainly differing amounts of teachers’ time. Catherine Burke deserves a big thank you for introducing me to David Medd’s writing – Cathy’s a historian of education and childhood who has worked with and written about David Medd and his wife, Mary Beaumont Medd, also an architect. Cathy’s work shows how formal continuity in educational architecture can be just as revealing as stories of ‘innovation’. A related theme she also explores is how these formal continuities often obscure changes in relationships between children, teachers and ideas of education. In this sense it is interesting how David Medd’s flexibility subordinates architecture to teaching and ultimately people. This is not to say that architecture is not important but that it has a purpose beyond itself – of increasing people’s own possibilities for action within their socially and architecturally-defined community. Recently, flexibility appears more as a fetishized thing whose value is instrumentalized in the extent to which it adds ‘learning gains’. Emma’s interview with Catherine Burke is here. Hargreaves, A. (1990) ‘Teachers’ work and the politics of time and space.’ International Journal of Qualitative Studies in Education, 3(4) pp. 303–320. http://www.tandfonline.com/doi/abs/10.1080/0951839900030401 Some ideas on time and relativity that I’m not sure about but the paper’s beautifully structured and really brings home the idea of different perspectives: school managers’ techno-rational time contrasted with teachers’ perceived time, for example, is similar to the points I’m trying to make here about how different categories of time are reflected in the different perspectives of designers and users. Short- and long-term may be enough for designers, a higher level of definition might be desirable for teachers. Have you looked at Lefebvre’s ‘spatial triad’? (Lefebvre, 1991). It is given a learning space update in Jos Boys’ Towards Creative Learning Spaces (2011, pp 7). I think spatiality is a neat conceptual organiser. 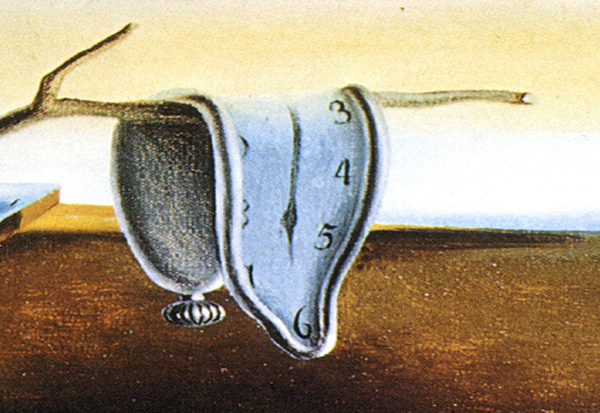 It is critical that the organisation of time is considered a fundamental part of ‘flexibility’. It is here that teachers and schools find the levers to act on Medd’s tools. I also looked at affordance theory (Gibson, 1977). I am adapting this to organise the internal structures of schools as ’embedded affordances’. These account for a more direct impact on the social but still require some level of ‘structure’ that is at once a response to and extension of the physical affordances. I recognise that there are other conceptual theories accounting for social practices (spatiality for one) but affordances is a kind of bridging organiser that traverses architecture and sociology. In my research I consider all organisational structures within a school as impacting the actualised flexibility. As a teacher I found it rather frustrating that the timetabler had so much control. As a researcher of innovative spaces I found it worrying that in many cases the new spaces were not matched by new organisations of time. The timetable was still in control; the tail waging the dog. Great, thanks Scott. This is exactly what we hoped the blog might become, a bit of a place to share ideas and resources. I’ve read Lefebvre (a bit – still very much struggling, to be honest) but had no idea about Jos Boys so will check that out – thanks! ‘Bridging’ you said – exactly…that’s key isn’t it – how can the cultures of design and user come closer and your ideas are really interesting there. In fact there’s a lot going on in Australia and NZ at the moment that’s really interesting, I’m quite jealous! It’s a conceptual and empirical problem. Post-occupancy evaluation doesn’t look as though it’s going to supported by government in England any time soon unfortunately. On a different note, I think Leon Benade has a special issue on Learning Spaces coming out soon in Educational Philosophy and Theory journal and an edited volume next year. On conceptualising learning spaces, I’d agree with Scott that Jos Boys’ take on Lefebvre is potentially useful. Another framework I like is that used by Neil Gislason – he proposes we think in terms of physical environment, organisation, staff culture and student milieu, with these interlinked and needing to be aligned for a successful learning environment. Jos Boys is also thoughtful and critical about some of the more glib assumptions about space, specifically in the HE context, but with wider application. In particular, she is irritated by simplistic uses of ‘flexible’. Specifically relating to flexibility, my own in-house study of HE space here at Newcastle suggests multiple types of flexibility. These, like yours, I see as involving a timeframe and I made use of Dovey and Fisher’s (2014) distinction between ‘fluidity’ – an environment that the teacher can alter moment by moment to support different activities within one session – and ‘convertibility’ or ‘adaptability’ – spaces that can be altered over a longer time scale to support distinctly different pedagogies. Our project also suggested that it might be sensible to distinguish between fluidity achieved through spatial flexibility (ie moving the furniture) and that achieved through technology (ie a space equipped to enable lots of different activities facilitated by ICT). And there is some tension between the two (extensive IT tends to make it harder to rearrange the furniture). That’s really helpful – thanks Pam. I need to get on and order me a copy of Jos Boys’ book. I just had a quick scan through your page: http://www.ncl.ac.uk/ecls/staff/profile/pamela.woolner#tab_publications when you say in-house for the Newcastle study I guess that means for their eyes only?! Or have I missed it? Flexibility to support a change in pedagogy – during the day, week or longer? Great teachers adapt pedagogy to meet the needs or students. How agile are spaces in allowing this to happen? Yep, good point and the ultimate test really, right?. I think that’s why it’s so important to think about agility/flexibility-in-theory and flexibility-in-practice, try to work out how they relate and ensure knowledge from the in-practice side of things can feedback and modify the theory when it’s shown to be out of touch with how people actually use buildings. I just discovered your site and it looks great – looking forward to reading all the blogs. In relation to flexibility are you aware of Ken Woodmans PhD thesis on flexibility? Hi Fiona – thanks for commenting and for the great suggestion. I’ll add the link to Ken’s thesis to the blog post now and look forward to reading it. Really helpful – thanks! What are the meanings of flexibility? Who and what influences learning spaces and flexibility? How is flexibility enacted in current learning spaces? How important for learning are space and flexibility? Does flexibility support the making of learning places? I explored these questions with an initial literature review. I then undertook interviews with educators, architects, facilities providers, and students. Within one case study school I undertook mapping of movement of people and spaces in several different learning spaces with different pedagogies from traditional to heutagogical . I reflected back these findings to the participating teaching staff. Finally I undertook an action research study with several students to change their learning spaces. I explored educational learning theory, particularly constructivism and social constructivism, with Rousseau, Dewey, Piaget, Vygotsky, Bruner, Feire, Von Glasersfeld, and Hase and Kenyon. I explored theories of space, place with Foucault, Lefebvre (agreed Scott a useful tool), Heidegger, Massey, Cresswell , Dovey, and Deleuze and Guattari. And human-environment interaction with Barker and Gibson and looked at affordances, territory, appropriation, and ownership. The study was undertaken using the lens of Actor Network Theory. From a literature review on the various terms relating to flexibility I split them up into four categories of Time, Space, Use and Movement. Time flexibility relating to the ability of a structure to change over an extended period of time to satisfy significant changes in need – I called this Adaptable. Space flexibility relating to the manipulation of elements to create different spatial arrangements – I called this Transformable. Use flexibility relates to the changing the use of a space without altering the space itself – Polyvalent. Movement flexibility relates to the movement of students, teachers and others within and around the learning space – Fluid. In conclusion I attempted to Re-Place Flexibility. I concluded that often spaces are rigid and unchanging despite the opportunities available for spatial reorganisation (often relating to timetabling issues as noted by Scott above). That despite the benefits of movement for learning that such movement was limited in traditional and progressive student directed pedagogies but was greater in heutagogical student-determined learning. That territory was an important issue across learning spaces and collective territory ownership across a larger area reinforces the desire to learn. That the opportunity to interact with environments enhances the feeling of placemaking with flexibility becoming a catalytic socio-spatial assemblage that positively affects students’ attitudes towards learning. That there is little relationship between the discourse and the practice by teachers. Though teachers are aware of the learning benefits of space and spatial manipulation few enact this within their pedagogical practice. The control of space both by timetable and teacher is limiting spatial interaction, ownership, and placemaking and thus limiting learning opportunities. Control of learning spaces need to move from the timetable to the teachers (with collective booking systems for spaces) and from the teacher towards the student such that students can find the right spaces that suit them and their learning. Learning spaces can become a equitable shared responsibility with teachers framing the space for students to manipulate. Flexibility provides a multiplicity of opportunities for interactions, discussions, collaborations, conflicts, connections, and reconnections. For learning, flexibility can be seen as necessity, spontaneity, equity, democracy, and empowerment. It breaks the teaching panopticon to create a learning place of ownership, respect, and responsibility. Through this study, flexibility has been re-placed, not as a product of building, but as a process of learning. Thanks for you Blog Adam and I hope you enjoy the thesis.